I don’t normally do weekend recap type posts because most of the time my weekends are for relaxing so I don’t do much. However, this weekend was actually interesting and I was out and about so I though I’d share. If you follow me on Instagram, you probably saw I did a lot of eating out the last two days. Saturday, the hubby and I went to lunch at Ocean Restaurant in Bayville, NY. The dessert was to die for. The view wasn’t too shabby either. Sundays should always be reserved for brunching. Yes I brunch and I use the word brunch as a verb. Doesn’t everybody? 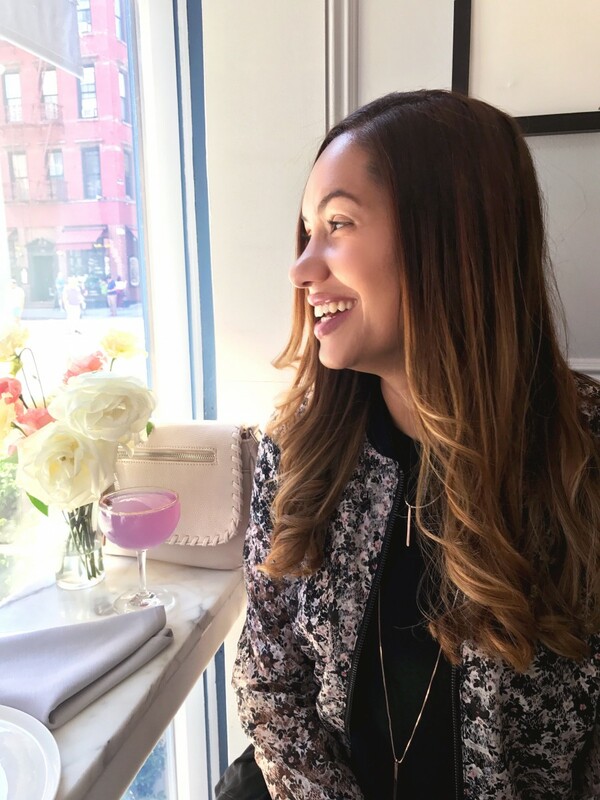 I met up with my cousin in the city to drink some champagne & eat some really good food at Garage Restaurant & Café in the West Village. Then it was off to hunt down some macarons. We found the perfect little place not far away on Bleeker Street, Bisous Ciao. They have such a unique selection of macaron flavors including Jasmine Tea, Rose, and Poppy Seed – which was my favorite of the bunch. Then it was off to shop for some tea at DAVIDsTEA. Neither of us have ever tried their tea before or explored their shop. They have all of their Fall flavored teas to try. The Peanut Butter Cup was my favorite so I bought some loose leaf Peanut Butter Cup tea to take home and we both enjoyed Peanut Better Cup tea lattes while we were there. I think I should start drinking tea more often and stop with the coffee. Maybe their teas will help me since there are so many fun flavors to try. I will definitely be back to buy more! And that was my food filled weekend folks! I’ll be posting separate reviews of both restaurants on the blog soon! I’m starving now, after reading this 🙂 Those macaroons look SO good! And yes, I love to go brunching too- it’s my favorite weekend activity! Holy Cow…I think I’d be in a delicious food coma! Sounds so good! That chocolate chip cookie (?) dessert looks AMAZING! Love it when my weekends include delicious food. Weekend with delicious food are always the best! Shoot, girl! I commented earlier this morning but it looks like it didn’t go through. Basically I’m still starving from reading your post, haha 😉 Your weekend is my kind of weekend! Food filled weekends are the best kind of weekend! I keep on meaning to try DavidsTEA, especially because I walk by one so often… I really need to just go in one day! i don’t do nearly enough brunching! there aren’t a lot of places to go here, womp womp. my girlfriends and i are getting together this weekend and for the first time in a couple years, everyone is able to drink (no-one is pregnant!) so we are totally doing mimosas!